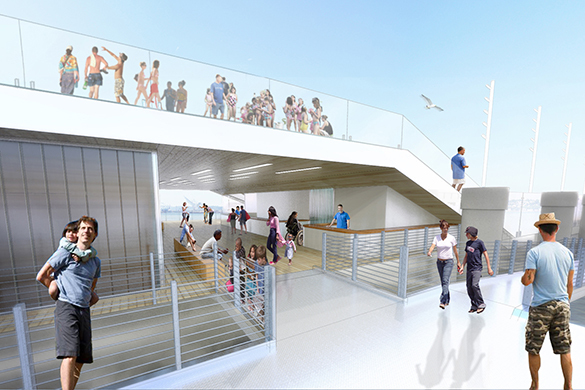 As part of the Waterfront Seattle Master Plan, the pool barge allows visitors to remove themselves from the waterfront to experience a unique vantage point back to the city. 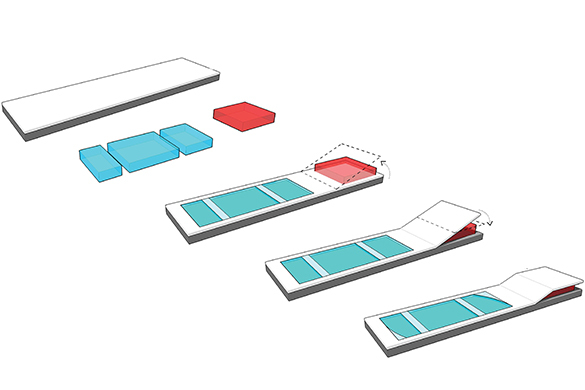 The Pool Barge is designed as an anchoring element of the waterfront experience and the proposed Pier 62/63 and yet it is inherently mobile and can move to different locations throughout the city. Recreational amenities on the barge include a lap pool, kid pool, and hot tubs, which may serve both visitors and residents of downtown. The design of the barge is strongly impacted by regulatory and operational requirements, including naval architecture considerations, pool safety, and accessibility guidelines. 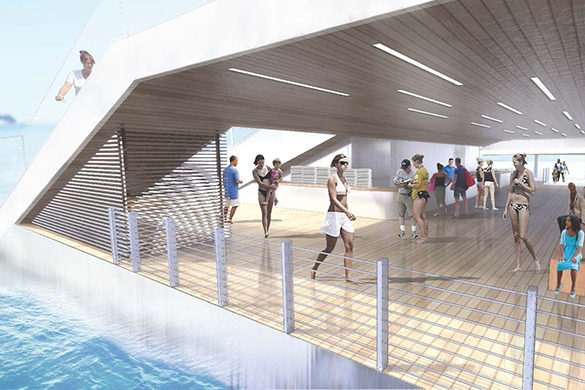 As part of its access, the pool barge design includes a gangway and floating dock which will also feature a kayak launch. Recognizing the climate of the region, the barge is designed to act as a flexible event venue that could accommodate varied programmatic elements for the winter season.